I love my sister, I really do. She is and always has been my best friend. We talk every day, about everything and nothing. She has my back, and I have hers. She walks me through baking cheesecakes for Samuel (because that type of baking sorcery is way above my head), and I walk her through what products to buy at Sally's. She's an amazing mom of three boys (yay welcome Baby Ian), wife, and educated working woman. All in all, she's awesome. Oh, and we're both goofballs. So how could I not make a house call for a wash and go? 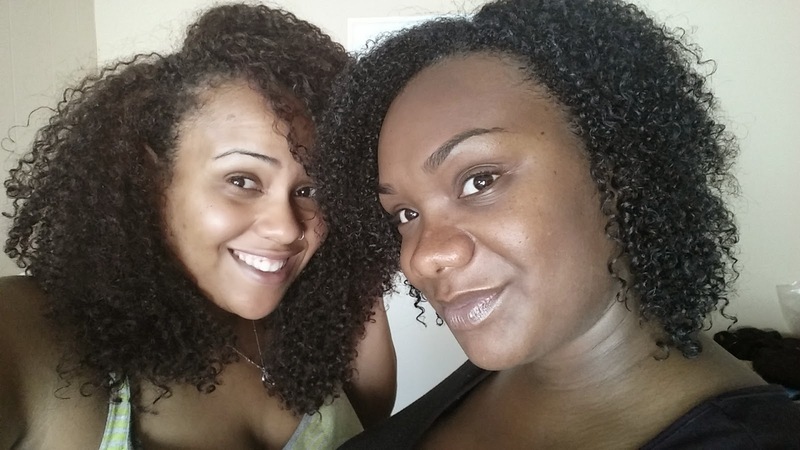 She told me that she took notes on my videos and tips, but somehow her wash and go's never came out quite right. So I gave her the full treatment, and then we went to lunch at Lemonade for some sister time (we packed it in as much as possible before baby Ian made his debut). Side note: never go to Lemonade for anything but Lemonade. April transitioned to natural hair for about a year (under my guidance of course), before chopping the rest of her heat damage back in April (haha, get it?) at Devachan Culver City. Her hair, by my guesstimation is 3c in the back, and more 4a toward the crown and front. She has very fine hair that frizzes easily, and miraculously never tangles (seriously, I was astounded). By my guess, her hair is medium porosity. She has virgin hair that is not colored. Like me, she has multi-textured hair that is looser in the back and tighter up front. ApHogee Curlific Texture Treatment: I used the Texture Treatment as a pre-poo. 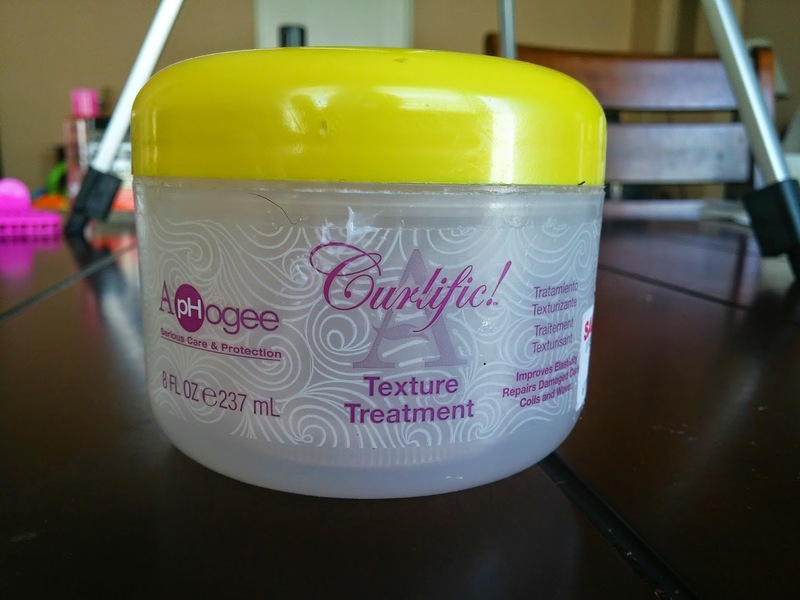 It works as a deep conditioner as well, but I like it at this particular phase in my routine as a pre-shampoo treatment. It has emollients, proteins, and oils that soften, condition, strengthen, and elasticize the hair. It can be purchased at Sally's for under $10. Read my review here. 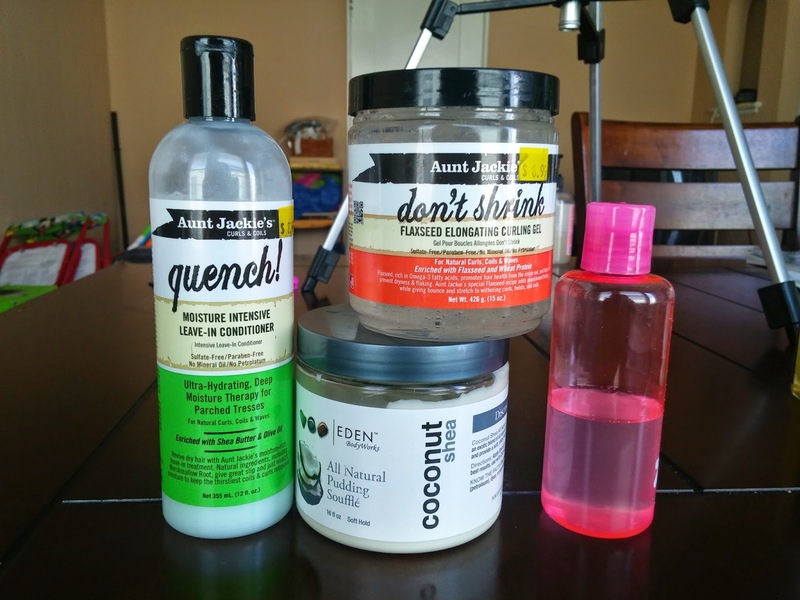 TGIN Moisture Rich Sulfate Free Shampoo: For as long as y'all have known me....you should know! This shampoo has holy grail status. It is theeeee one. My go-to. My always and forever. Except for when I'm like, co-washing. It's super gentle, has tons of slip, and makes your hair feel like you don't even need conditioner afterwards. 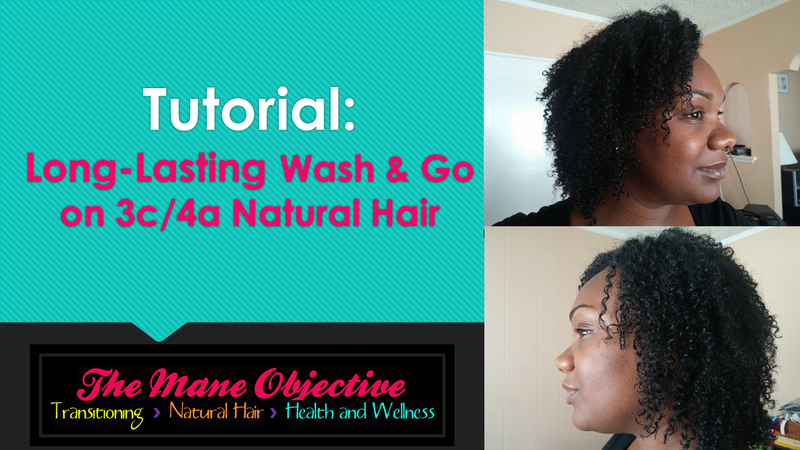 You can find the shampoo at www.thankgodimnatural.com for $14.99. Read my review here. 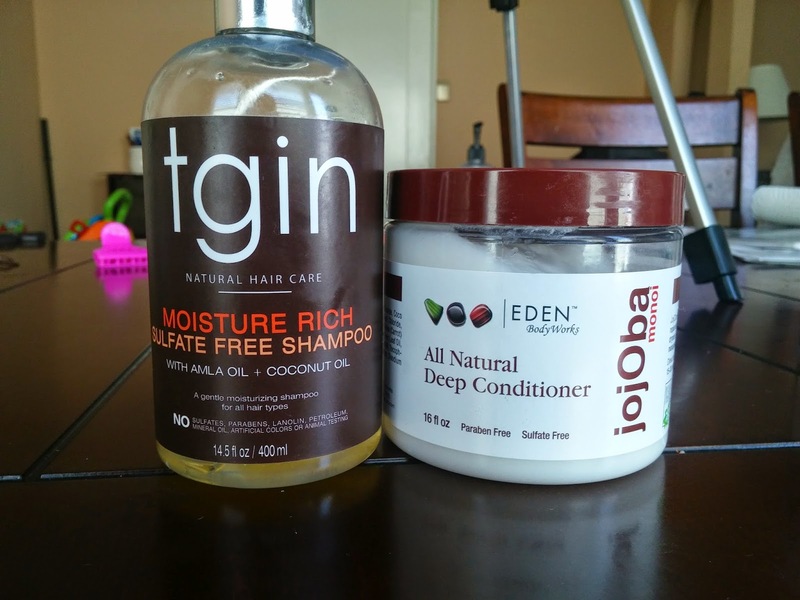 Eden BodyWorks Jojoba Monoi Deep Treatment Masque: I started using this DC during my max hydration method challenge days, and it stuck around. It's super duper creamy, moisturizing, and nourishing to the hair, without all the excess gunk. The smell is kinda awkward, but I like it. No review yet, but stay tuned! I purchased it from Sally's for around $9. Eden BodyWorks Coconut Shea Pudding Souffle: Creamy and moisturizing, without being too lightweight. April has a very fine texture of hair, and super-heavy cream would weigh it down too much and give her the greasies. I purchased mine from Sally's for around $9. Read my review here. Coconut Oil: It's from Sprouts. Lol. 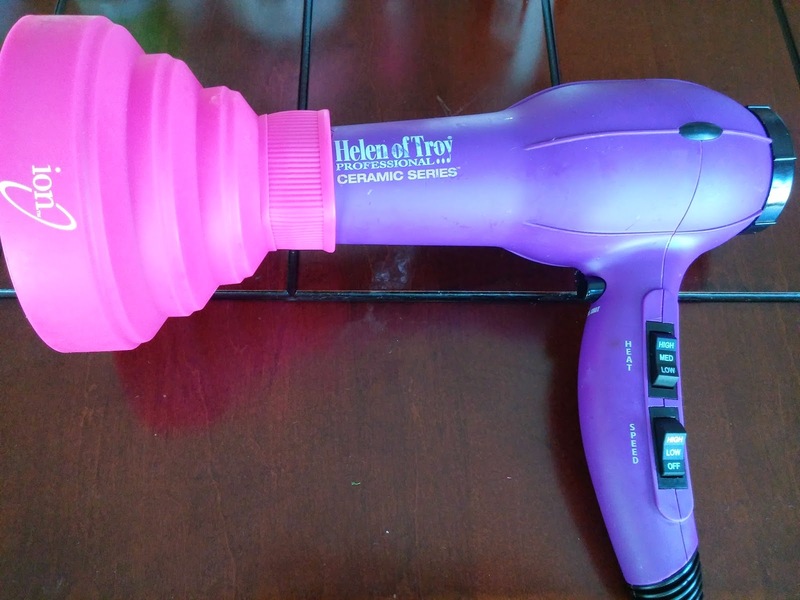 My Ion diffuser attachment, blow dryer, and the high output spray bottle all came from Sally Beauty Supply. 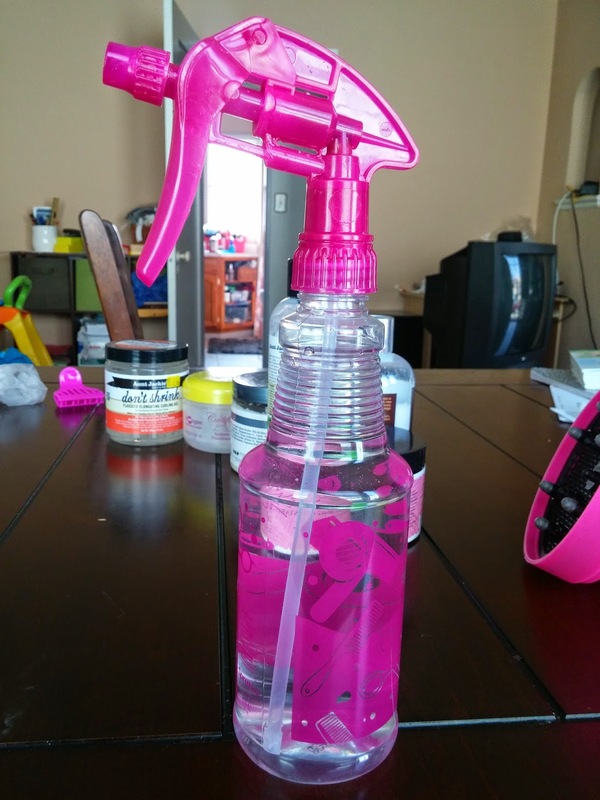 If you want to know more about the diffuser, click here. Two last things: one, forgive my hoarse voice. If you follow me on Instagram, then you know I'm JUST getting off of a cold :-/. Two, forgive the super light exposure. My camera settings were way off, and I didn't know until well....it was too late. That's it and that's all! If you have questions or comments, leave them below or on the vid on YT! Thanks for all the love y'all, and I mean it.